Never Enough Nails: OPI Brazil Dotticure! Well I ran out of time to finish swatching the rest of the OPI Brazil collection yesterday, but I did do this really fun polka dot mani with some of the Brazil polishes! I think this collection really lends itself to nail art, so you may see a few more manis around here using these pretties. For this mani, I started off with two coats of OPI Taupe-less Beach. 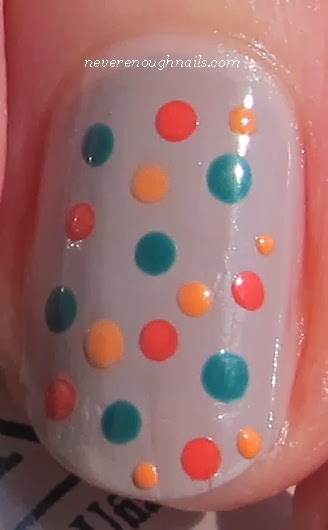 I used a dotting tool to make the dots with OPI Amazon... Amazoff, OPI Where Did Suzi's Man-go?, and OPI Live. Love. Carnaval. I really like the fact that this collection is part neutrals and part brights. I am always a big fan of mixing brights and neutrals, in makeup, clothing and nails too. It's particularly fun for spring and summer! 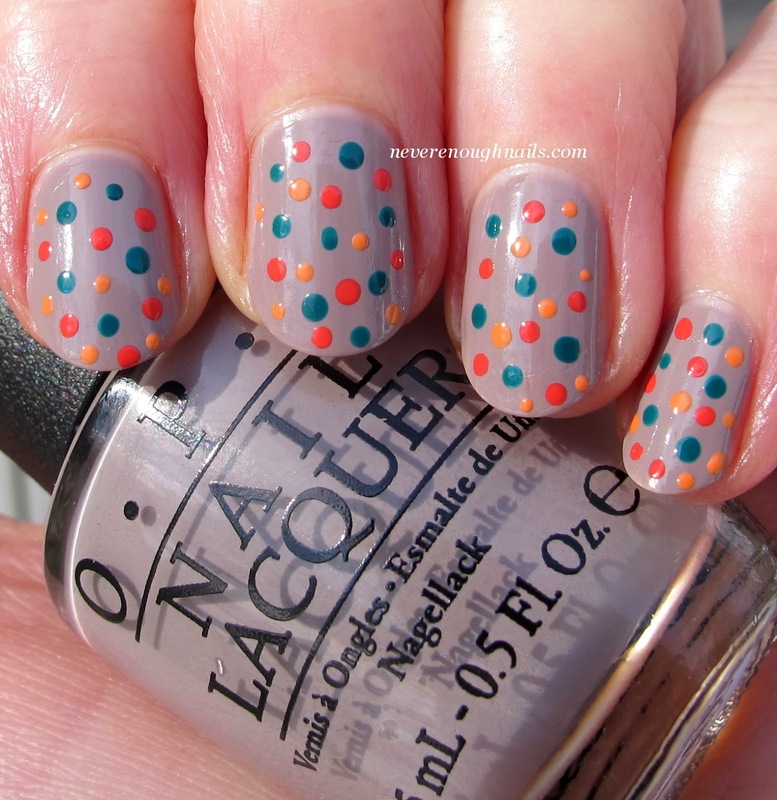 Give this neutral/bright dotticure a try yourself! Brazil by OPI is available in both nail lacquer and GelColor formulas now. Nail lacquers retail for $9.00 ($10.95 CAN) each at Professional Salons, including Beauty Brands, Beauty First, Chatters, Dillard’s, jcp Salons, Pure Beauty, Regis, Trade Secret, ULTA and ulta.com.